These Freehold Dubai properties are already rented out and managed by us. As part of the package, rent is guaranteed for 2 years. The rent from the Dubai property is used to pay for part of the property - so you end up paying less. These properties are now growing well in value, give high rental income, have low service costs and will be easy to resell whenever you wish to do so. These are the BEST DEALS for most buyers. Studio Type C1 580 sq ft Gross. 10% rental yield. Very popular - many of our customers have recently purchased these apartments. In low rise buildings near Dubai Airport (10 min drive). Price for category A with top rental yields is AED 399,000 (£66.5K). However you will pay us about AED 319,000 = £53,167 (USD $89K) as we collect the rest (AED 80,000) from rent. These were selling for more than £100,000 before price drop in 2008. 1-Bed Type C 900sq ft Gross. 10% rental yield. Includes larger kitchen and separate en-suite bedroom (two bathrooms in apartment). Price for category A with high rental yields is AED 499,000 (£83.2K). However you will pay us about AED 399,000 = £66,500 (USD $111K) as we collect the rest (AED 100,000) from rent. Over 100 customers have recently purchased these apartments. Near Dubai Airport. These were selling for more than £135,000 before price drop in 2008. These Dubai properties are from third party sellers and specific availability changes every week. Full payment has to be made at Dubai Land Department within 30 days of purchase (rental guarantees or payment plans are NOT available). Only buy such a property if you definitely plan to use it yourself and are relocating to Dubai right now. If you are not sure - buy an investment property from Section A above or multiple investment properties instead and resell them later if required to get an 'own use' property. For “own use” properties, we can offer advice and guidance and refer to local companies specializing and best suited to deal with the type of property you are looking for. You may be looking for a large multi-bed apartment or Villa. Only buy such a property if you definitely plan to use it yourself and are relocating to Dubai right now. If you are not sure – buy an investment property or multiple investment properties instead and resell them later if required to get an ‘own use’ property. Although there are exception, an ‘own use’ property will typically cost more, have lower rental yields, more running costs, higher risks, be harder to resell, and have lower capital growth than the commodity low cost Best Buy investment properties located in high rental demand residential areas. Whilst some buyers initially think that they need a property for occasional holiday use for whenever they visit; they quickly learn that this is not cost effective as they cannot then rent out the property (rental agreements in Dubai now have to be for minimum of 12 months). If they keep the property empty, they still have to pay service charges and costs to maintain it. It is better in such cases to buy an investment property, leave it rented out, keep the rental income in Dubai, and use some of this rental income for their holidays (to rent suitable holiday accommodation for the family when they visit). This is far better and more cost effective. Thus property purchases for occasional holiday use are NOT recommended. 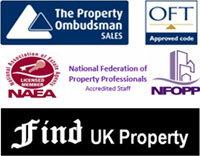 Many who have insisted on buying for this purpose – actually have never used their own properties! Our main business is to help you buy Dubai property for sale including ready Dubai apartments and Dubai villas from the huge range of Dubai properties for sale. With our help you can buy ready property in Dubai direct from property owners, developers or from other Dubai resellers and agents. Read our 'Dubai Property Market' section for the effects of the recession on Dubai property. Property in Dubai fell sharply in 2008/2009, then stabilized and is now set to grow again. NOW may be the best time to buy Dubai property as we believe that prices are "rock-bottom". There is very little new construction taking place in Dubai because of "credit-crunch" effect of past few years, so there are likely to be shortages in the next few years. Thus Dubai property prices are expected to rise. Ready Dubai apartments are the best properties for investment and can now be purchased at "rock-bottom" prices. If necessary, we can help you purchase without you having to visit Dubai, with a Power of Attorney. More than half of all of our buyers are purchasing apartments as investment properties in Dubai. The best Dubai apartments are normally those that are in areas with high rental demand. This enables us to offer a rental guarantee as we are confident about letting these properties on behalf of our customers. The 2 main types of ready apartments we sell for investment purposes are Studios and 1-bed apartments as these provide the best returns. Most Dubai Villas for sale are ready and are usually purchased as a resale from third party owners. Most customers buy a Dubai Villa or large multi-bed Dubai apartment as their own Dubai home which they intend to occupy now, or in the future. You will normally have to have funding for all or most of the Dubai property price by the time of transfer. Dubai mortgages are only possible if you have been resident in Dubai for at least 6 months with evidence of good regular income paid into your Dubai bank account. Do not rely on getting a Dubai Mortgage approved. If you do not need your Dubai home yet, then it is better to buy multiple smaller Dubai apartments for investment. These will yield a better return and we can re-sell these at a later date if you want a larger apartment and Dubai villa for your own use when you want to move to Dubai. We can also help you buy UAE properties in other Emirates apart from Dubai, such as Abu Dhabi although we do not now recommend any areas which are not developed such as Ajman or RAK. If you are looking to buy any UAE property, then please give us a call. UAE stands for United Arab Emirates and is the name for the whole country that includes all 7 of the Emirates. Most UAE properties are actually sold within Dubai itself but in some cases UAE property in the other Emirates can be more suitable. We can also help you if you have your own Dubai property for sale. If you are currently looking to sell, then we can provide you with advice on how to re-sell your Dubai real estate properties. With the help of our partners we can put up your Dubai Property for sale within Dubai and also market it to UK and overseas property buyers. We can via POA documents arrange the transfer and make payment to you from our Client Account, so you do not have to visit Dubai in order to sell your property.